Switchboard launches its 2014-2015 season on September 12 at the Center for New Music with Switchboard Presents, a monthly concert series that features split bills of innovative and eclectic music from the Bay Area and beyond. SBP features the raucous bass clarinet duo Sqwonk, heavy bass clarinet quartet Edmund Welles, and an appearance by a rare assembly of nine of the Bay Area’s best bass clarinetists performing a nonet by Jonathan Russell. East Bay Composers Colloquium #2 is a night of entirely new compositions by several active bay area performers/improvisers. The composers for this show are Shani Aviram, Sam Withrow, Aram Shelton, Rachel Devorah Trapp and Moe! Staiano. Sarah Cahill – solo piano – To celebrate the release of her new two-CD album of Mamoru Fujieda’s “Patterns of Plants” on the Pinna Records label, Sarah performs some of these collections of pieces ranging from 1996 to 2010. An intimate evening with Bay Area art rock/post-jazz trio Grex, featuring the group’s first and only full duo set in several years, plus the debut of several new duo and trio pieces. Expect a mix of rarely heard originals (including the three part “Suite: Extinction”) and bizarre reworkings of pieces by Tim Smith, Mongezi Feza, and Don Cherry. Performed by Mills faculty musicians Gloria Justen, violin; Gianna Abondolo, cello; Daniel Lockert, piano; Sara Ganz, soprano; Belle Bulwinkle, piano; and Robert Schwartz, piano. As part of his ambitious and expansive Acoustic Bicycle Tour, Connecticut-based composer and cornetist Taylor Ho Bynum passes through the Bay Area (on wheels) for a concert of duets with acclaimed pianist Myra Melford. Bynum is one of the most energetic, prolific and community-minded artists of his generation, working closely as both an instrumentalist and arts organizer with veterans like Anthony Braxton and the late Bill Dixon, and touring the world with his ensembles featuring stellar improvising contemporaries such as Mary Halvorson, Tomas Fujiwara, and John Hebert. In this first-time duo meeting, Bynum and Melford will perform a mix of improvisations and compositions. David Dunn’s biography is a lengthy scroll of academic achievements. 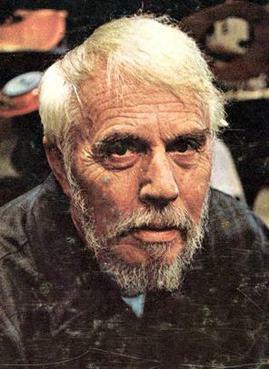 It lists grants, lectures, exhibitions, and works (culminating with his current position as founder of the Art & Science Laboratory in New Mexico) all inked in decade-spanning chronology with a quill inherited from his dignified mentor, the storied, American avant-garde composer Harry Partch. Since 2010, multimedia artist Julia Mazawa has performed locally, mostly in illicit venues, with just a turntable and delay pedal, warping vinyl source sounds with a common effect. Now, forget their backgrounds, because both artists are scheduled to perform at the San Francisco Electronic Music Festival, an event that corrals divergent experimentalists like Dunn and Mazawa annually. The eclecticism brings underground artists and ivory-tower denizens alike to illuminate a common interest: the margins of electronic sound.